Thanks Patricia, Ellen, Danyel and Sue | Tue Night. Kari Krome is one of my heroes. She wasn’t even Sweet Sixteen when she began hanging out in the glam haunts of Hollywood, hitchiking from the “Pit” (Peter Plagens’ term) of central LA to become one of the stylish habitues of Rodney’s English Disco. 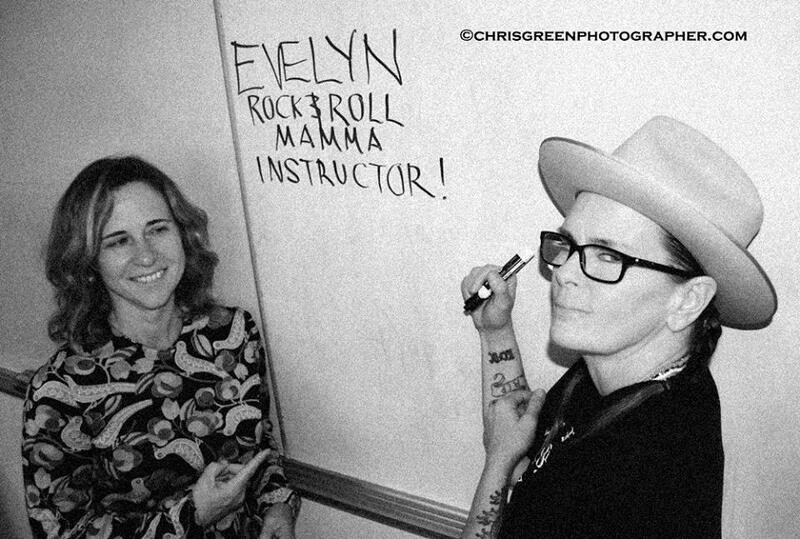 Three decades later, she’s writing songs and making music again — and speaking to the freshwomen in my Revolution Girl Style class. The original Runaways lyricist was kind enough to hang out and join me at my English Department symposium presentation of Queens of Noise, in which she’s quoted quite a bit. It was an epic night. One astute student compared Krome’s voice to Scout Finch of To Kill a Mockingbird. Thanks to Chris Green for capturing it in pixels. Journalist Liz Tracy is holding it down for the ladies as the only distaff music editor in the Village Voice/New Times chain. And she works my old turf, the 305 (and 954). We met last month at the MEOW Conference in Austin. She interviewed me prior to my appearance this Sunday at the Miami Book Fair. Evelyn McDonnell on Writing the Story of the Runaways. via Evelyn McDonnell on Writing the Story of the Runaways. It still amazes me when reviewers completely get what I wanted to achieve with Queens of Noise. Fortunately for me, a lot of them do. The latest wonderful review of the book comes from Wayne Wise in the Pittsburgh Post-Gazette. Spoiler alert: the ending follows. “Ms. McDonnell cuts through the mythology and personal memories to find the larger story. She looks beyond the labels without losing their significance. The Runaways were exploited teenage girls. They were revolutionaries who changed history, strong women who followed their dreams. via \’Queens of Noise\’: How the Runaways opened doors for women rockers – Pittsburgh Post-Gazette. via ‘Queens of Noise’: How the Runaways opened doors for women rockers – Pittsburgh Post-Gazette. I’ve been biting my tongue on the whole Macysgate Joan Jett/South Dakota brouhaha. Now that it’s apparently over — the PETA activist is off the meat-state float, still in the Thanksgiving Day parade (though where has not been announced) — I just have to say, “Good riddance to bad rubbish.” And by rubbish, of course I don’t mean th e OG Queen of Noise; I mean the vehicle that was also known as the Mount Rushmore float. (Check out the picture of Neil Diamond on it in 2011.) 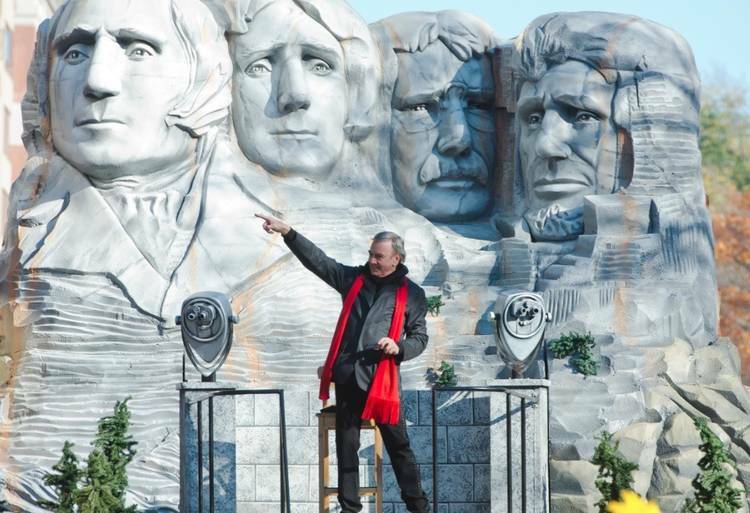 To the Native Americans of the region, Rushmore is a symbol of genocide caused by European colonialism. It’s a sacred place that was defaced by white faces. Chris Eyre made a great movie, Skins, about the monument and the devastated lives of the people now forced to live in the Pine Ridge Reservation. I was uncomfortable at the thought of seeing Joan waving happily from in front of that ugly symbol. So while I’m not pleased that some ranchers gave her the boot, I’m glad to see publicity being raised not only for her, but for the cause of animal rights. And I’d rather see her rocking with, say, Lady Liberty. It generally takes me all week to savor my New York Times, so I just now read this great interview with Sarah Silverman by Maureen Dowd. Talk about a power couple. Their discussion of the ageism of the comic boys’ club is smart and poignant. And Sarah’s comments about her need for a wife to make child-rearing possible reminds me of the intense conversations we rock moms had a few weeks ago at the MEOW Conference, inspired by Jackie Weissman’s documentary Rock’n’Roll Mamas. via Funny Girl – NYTimes.com. 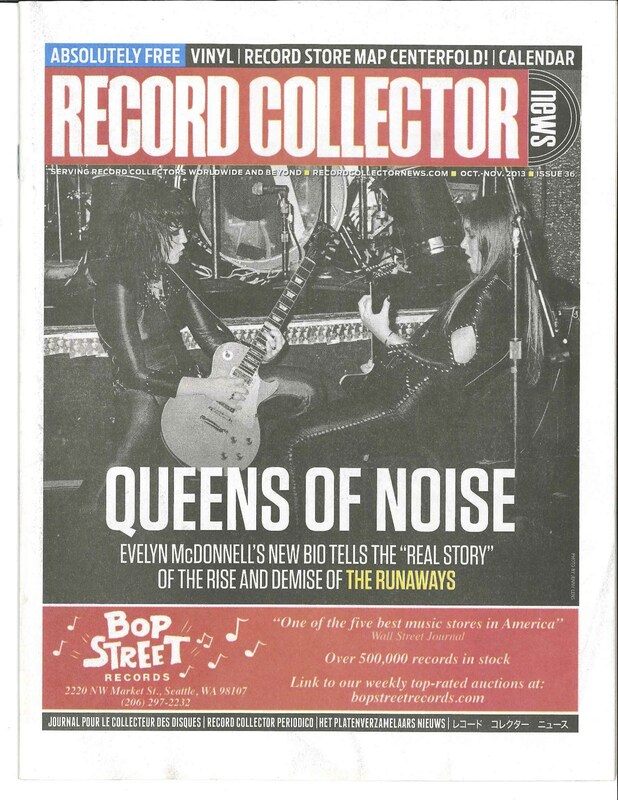 Here it is, the first cover story on Queens of Noise, even has my name on it!